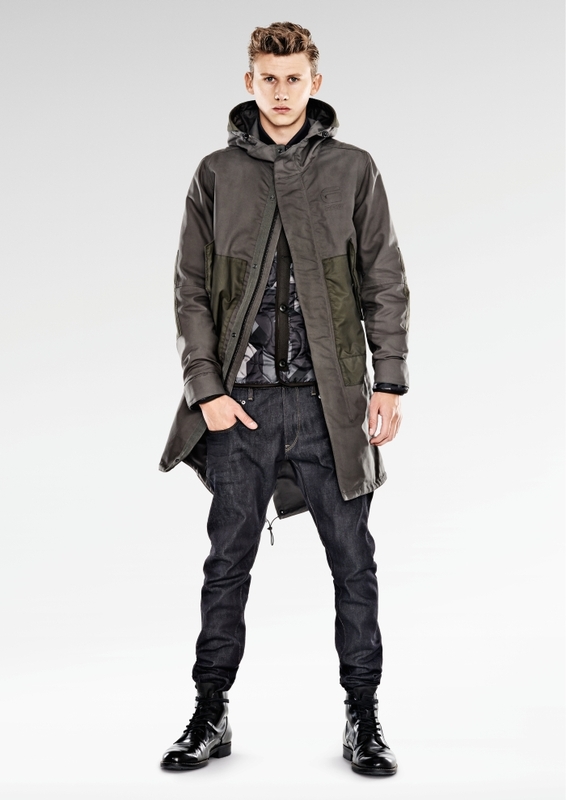 The G-Star RAW men’s collection for this coming fall is simply superb. Awesome, and totally kickass. 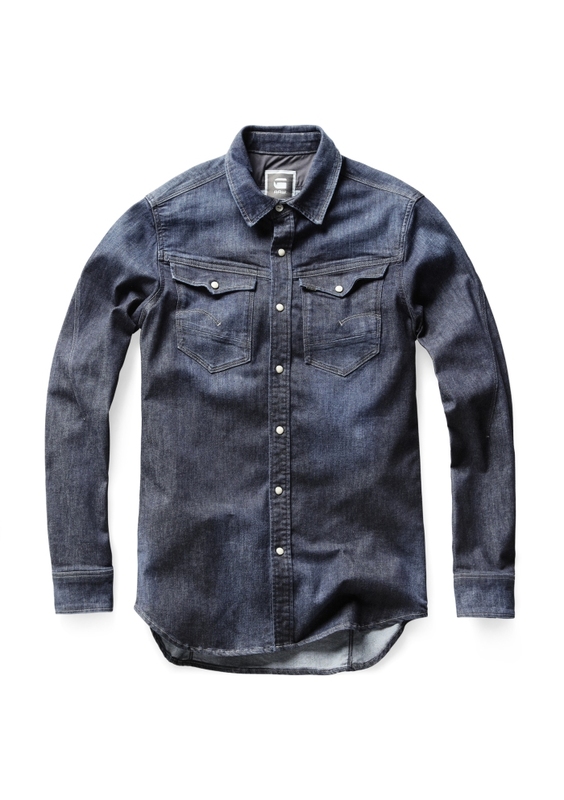 It is not a collection for just any dude, but for the guy that aims to be “different”, outstanding, vanguard. 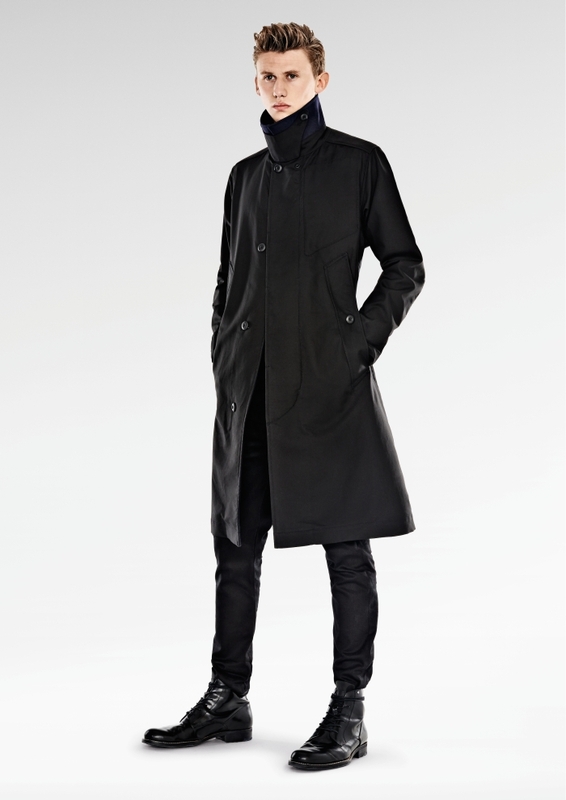 Every single garment has some special detail – it might be a “crooked” seam, an unexpected pocket, or simply a totally unusual style. 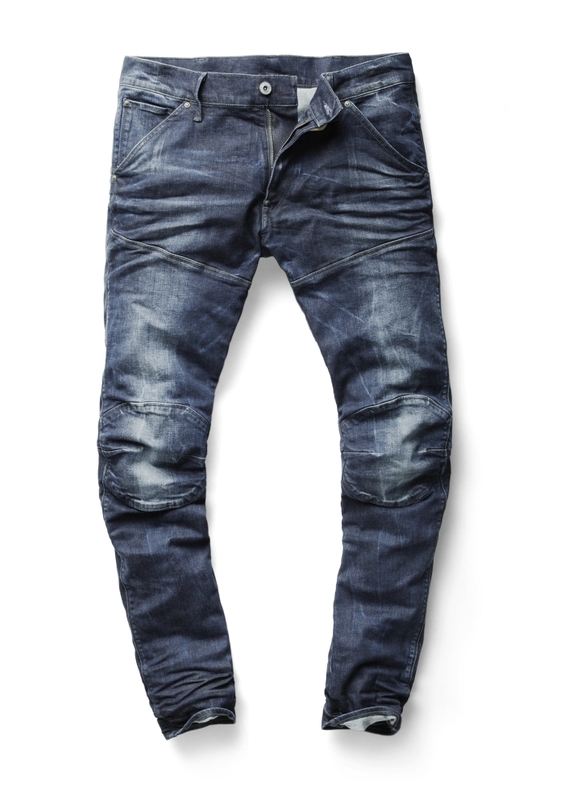 SEASONAL HIGHLIGHTS: For Fall/Winter 2014, G-Star is putting a spotlight on dark denim. 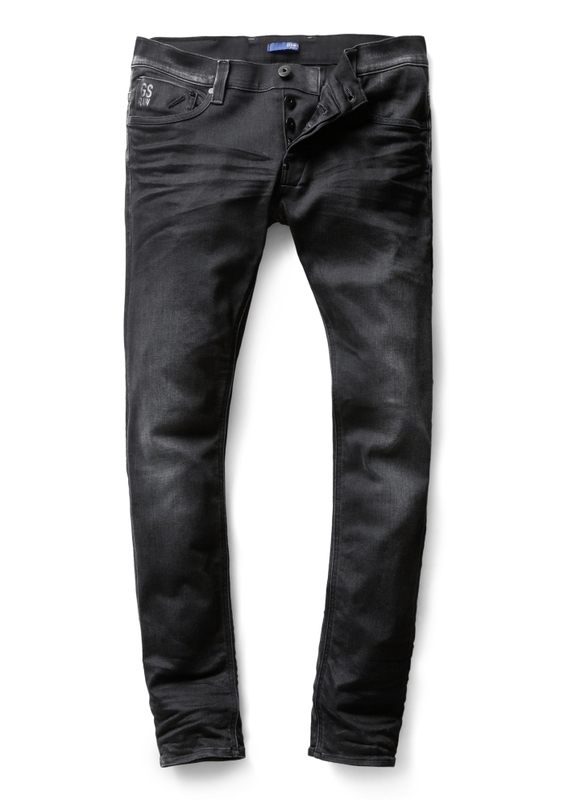 Women’s and men’s pieces in deep blacks are offered in a range of coatings and finishes from classic raw denims, to modern semi-matte versions. 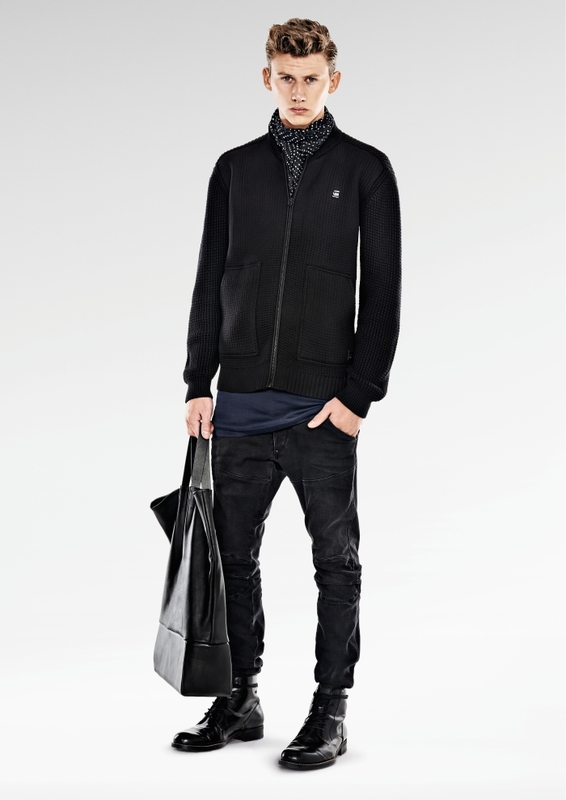 By varying black textures and materials, timeless style is easy to achieve. 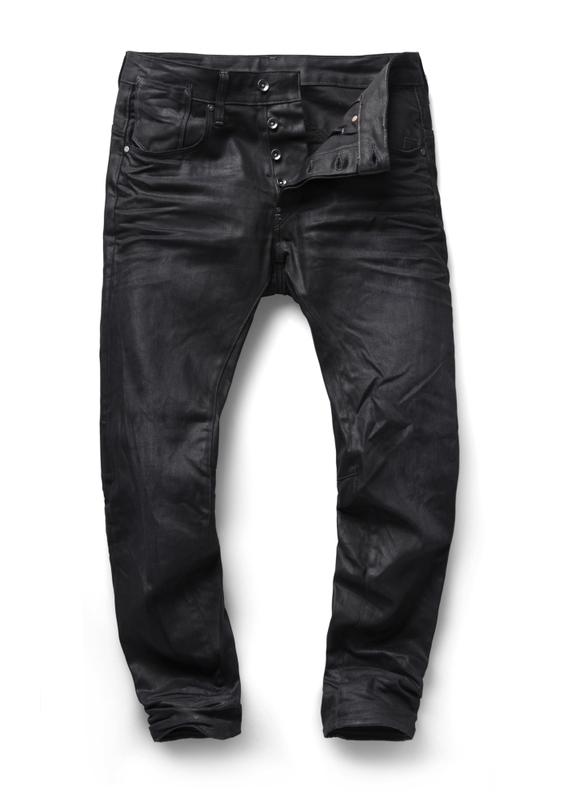 G-Star dark denims work perfectly when skilfully layered, giving a subtle, sophisticated look. 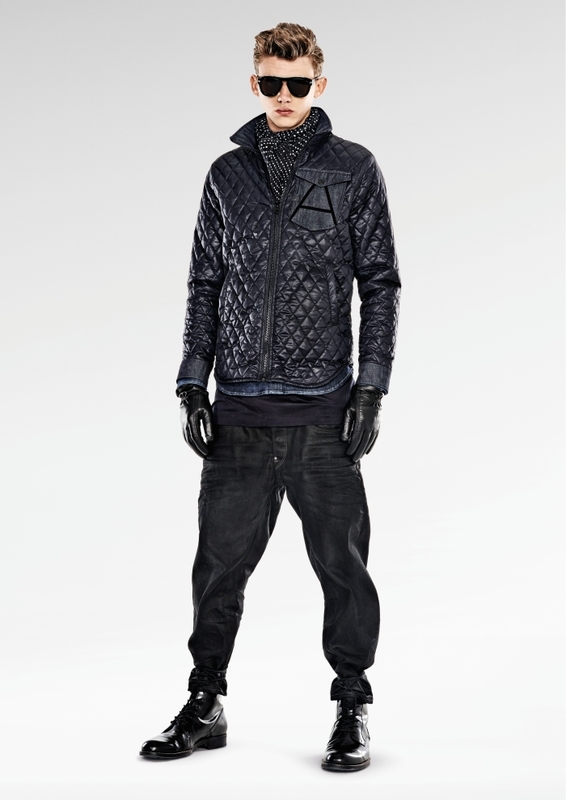 For men, the rich velvety Wearlent Bomber perfectly complements matte dark denims. 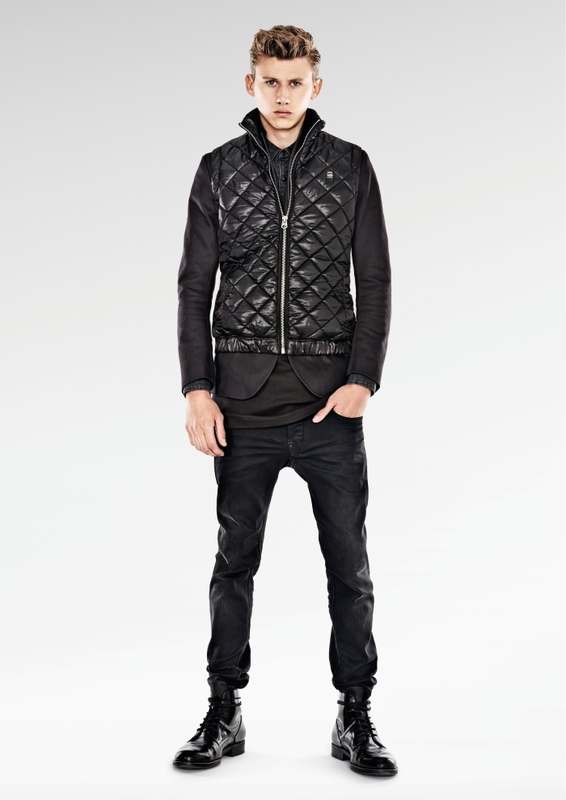 This medium weight quilted bomber exemplifies the G-Star modern classic. 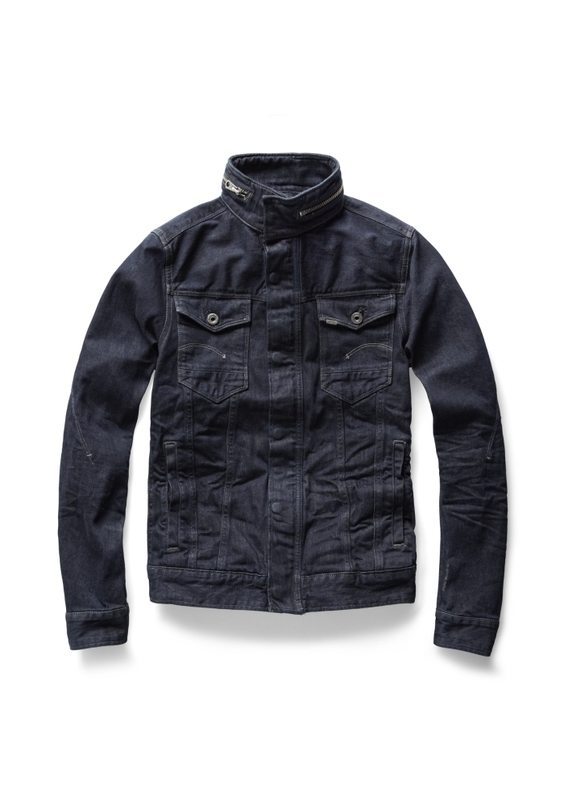 GENERAL JACKETS: For Autumn/Winter 2014, G-Star RAW is beating the elements with a range of high-performance jackets. 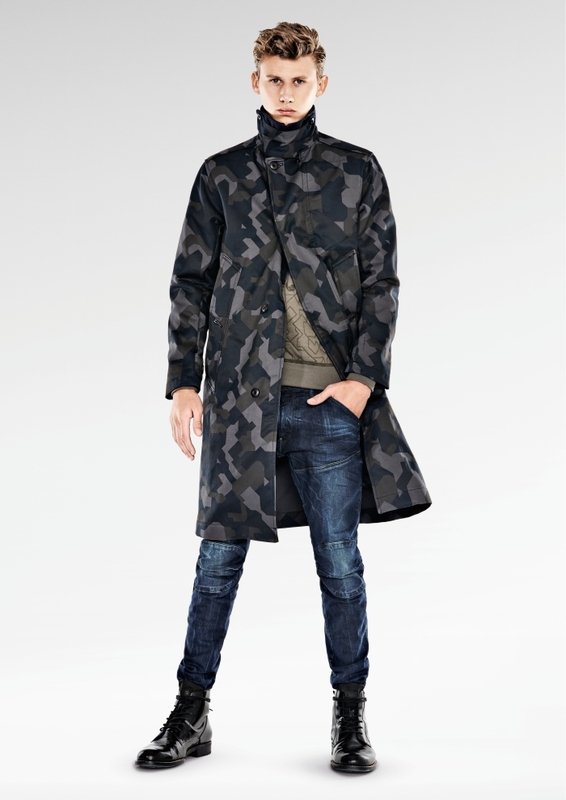 From trench coats to parkas and bombers, General Jackets takes inspiration from the classics and reworks them in innovative fabrics with modernized detailing. 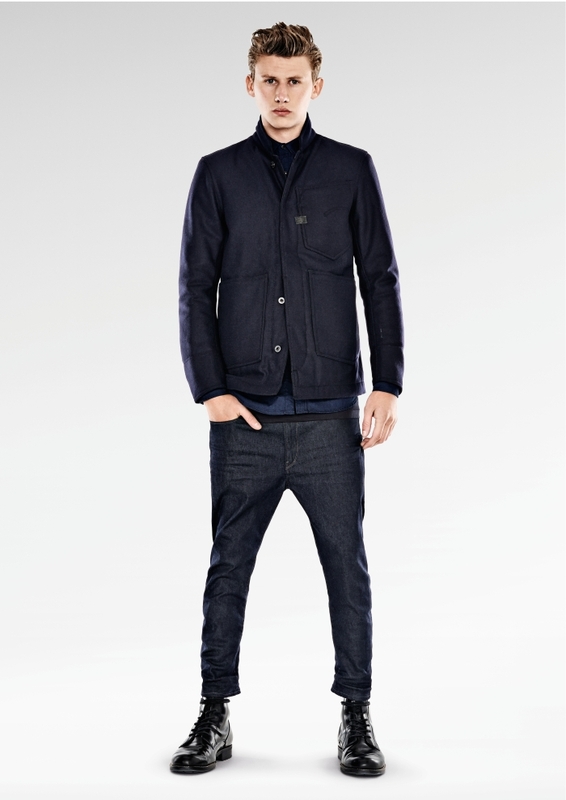 : The RAW Essentials collection is a premium seasonal range of menswear from G-Star RAW. 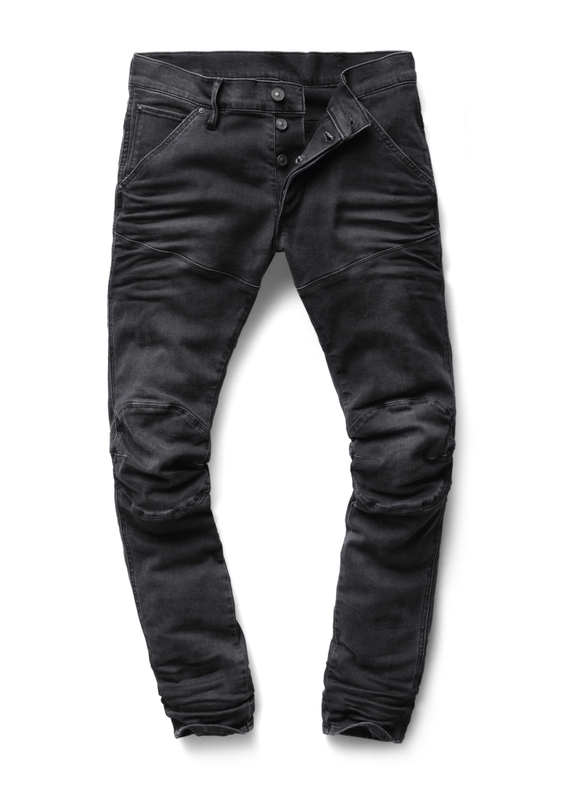 The range offers garments of the highest possible quality, precision engineered for an industrial approach to sophistication. 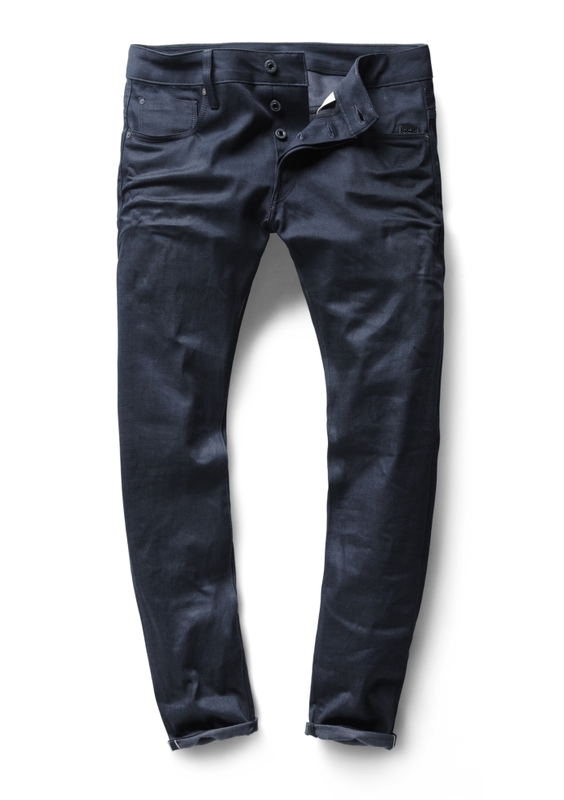 For Fall/Winter 2014, Japanese 14 oz. 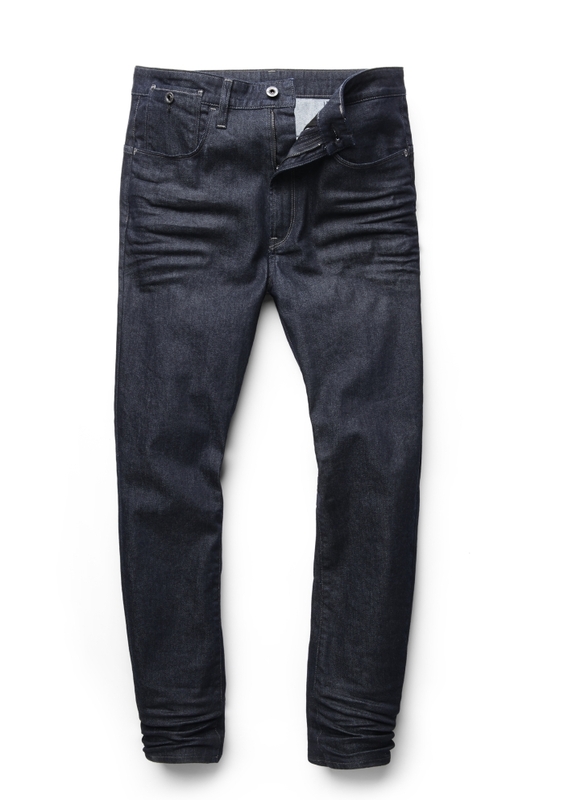 selvedge denims in deep shades of Mazarine Blue are constructed into modern-classic cuts. 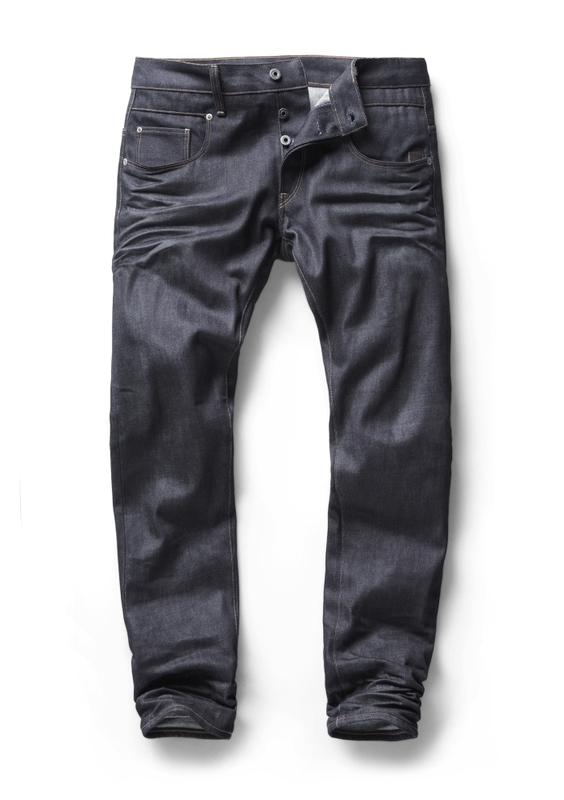 The premium denims have been produced on traditional looms by highly skilled craftsmen, a must-have for any denim aficionado. 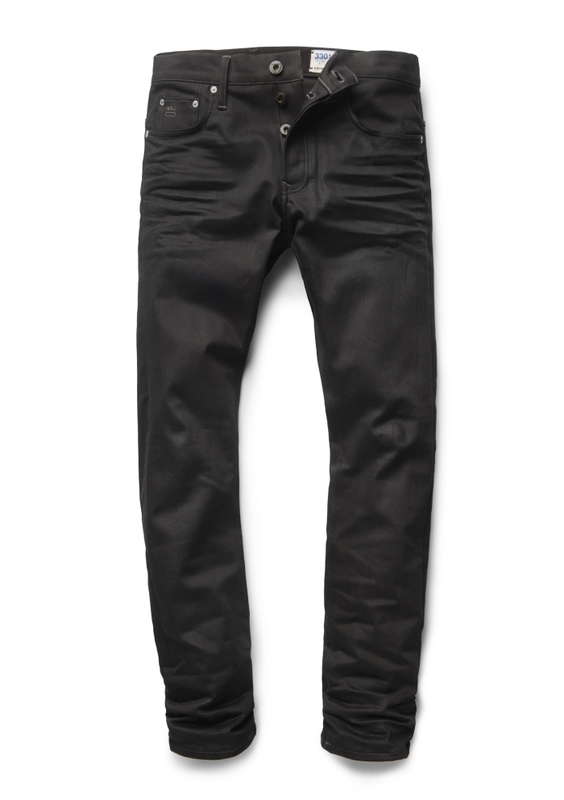 For those who prefer pre-developed character, unique asymmetric washings are also offered that convincingly mimic natural wear. 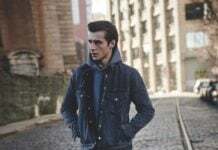 The G-Star Lumber is an exemplary piece, inspired by the workwear of mid-19th century American lumberjacks, and available in raw or aged versions. 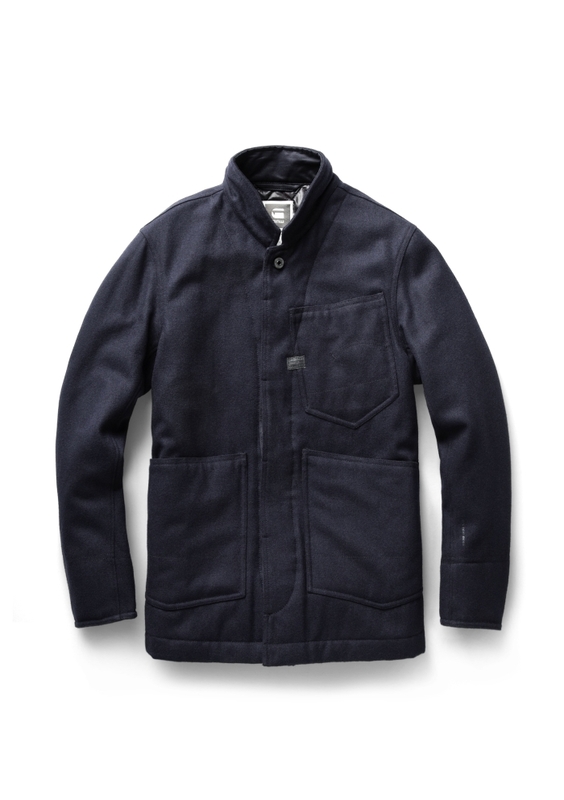 The Lumber features a cinch back, originally used to adjust fit, and brace buttons, from a time when the use of braces dominated belts. 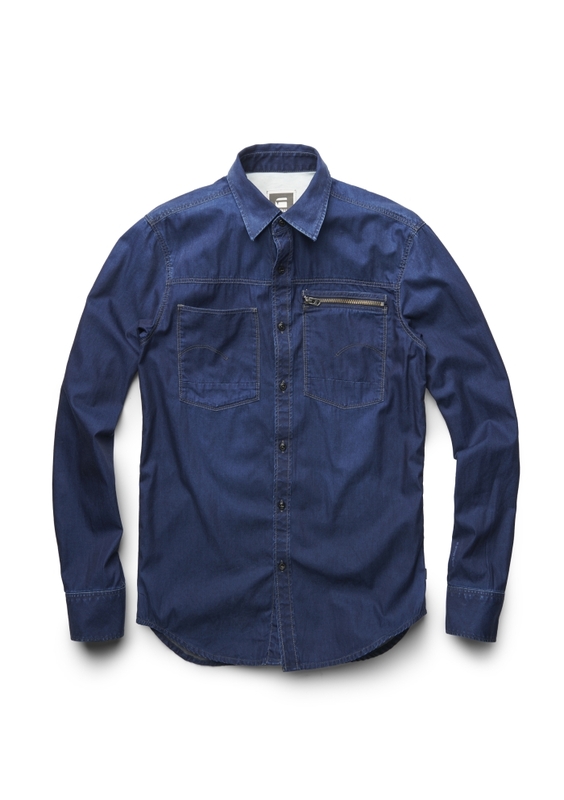 The range also features shirts and jackets of distinct quality, with fine leather details and richly durable fabrics. 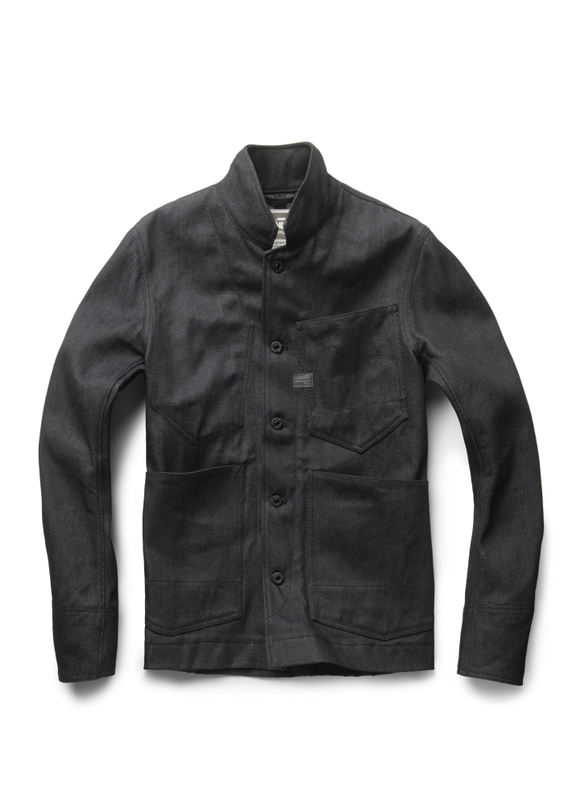 As well as, knits and sweats in heavy cottons that take inspiration from 1940’s railway workers. 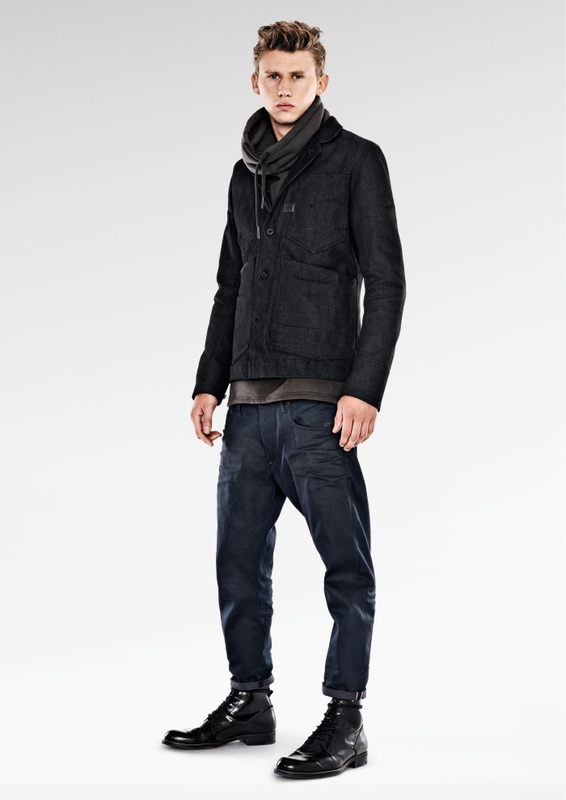 This season, every man can find a well-engineered wardrobe staple within G-Star RAW Essentials.